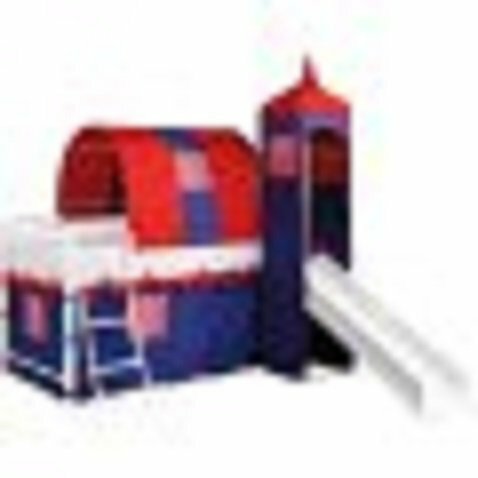 Castle Tent Twin Loft Bed Slide Playhouse w/ Under Bed Storage Red White & Blue. Top of the Slide Is Tented with a Tower with Peek Through, Fold Down Window Covers. 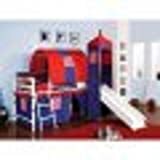 Fun Bunk Bed w/ Slide & Covered Hiding Place Below. The Covered Hiding Place Below Can Also Be Used As Under Bed Storage. The Kids Will Have a Blast All Day Long Playing in the Bedroom. 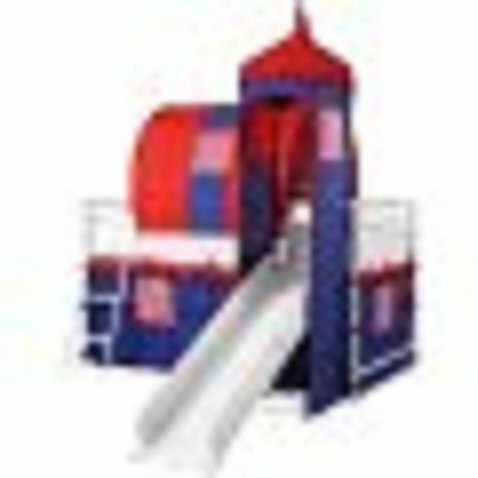 Fun Castle Tent Bunk Bed with Slide includes a tent over twin bed and a covered hiding place below. The covered hiding place below can also be used as under bed storage. The top of the slide is tented with a tower with peek through, fold down window covers.